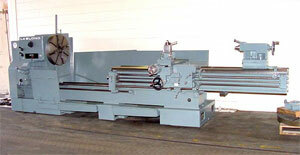 You will find several types of classic engine lathes as separated by the bed type. 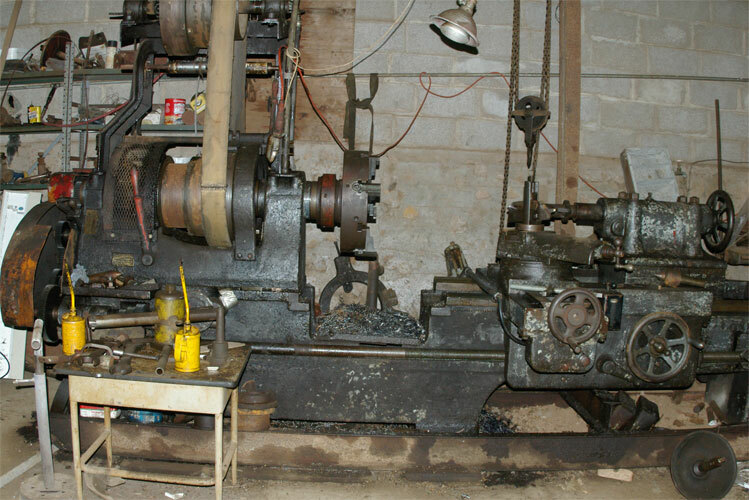 The classic engine lathe has a uniform bed all the way down it. Indeed many models actually have the headstock bolted to the bed. One of the issues with a lathe however is that it is never big enough. No matter how big the lathe, there is always something bigger that needs to be turned. In recognition of this some lathes are made with 'gaps' in the bed and those lathes are called 'gap bed' lathes. You can see my historic London Machine Tools lathe in the first photo. IT appears that there was probably a bolt in section of bed to fill the gap, but if so it was long gone before I ever saw the lathe. There is certainly plenty of opportunity for a piece to be misplaced when a tool is over 100 years old. This lathe will turn 48" in the gap for short fat things, but only 30" over the bed and only 24" over the cross slide. The latter number is pretty important for long things because the carriage has to fit under the work if it is very long. A more complex in design but more flexible type of gap bed lathe is the 'sliding gap' lathe as shown in this 1967 LaBlond. Although this particular lathe is much newer, the sliding gap lathes have been around for a century as well. they have the advantage that you can adjust the size of the gap to meet your needs and never need to find yourself reaching over the gap to turn something. This is an issue that has always plagued the use of the London Lathe. When you want to work really close to the headstock, the carriage is hanging over the gap. 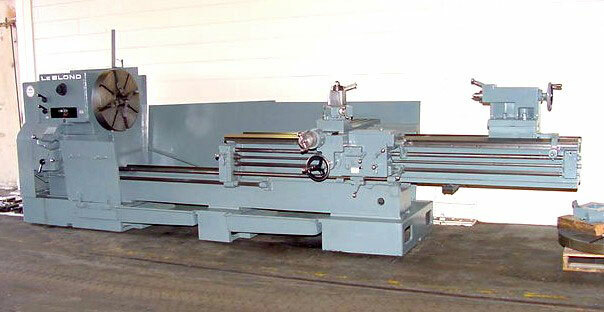 These sliding gap lathes are quite rare, but they exist and have existed for a very long time. This particular LeBlond is 8 feet between centers closed and 12 feet extended.